Samsung Home Appliance products will feature the Alexa voice assistant and will be showcased in Korea this month. 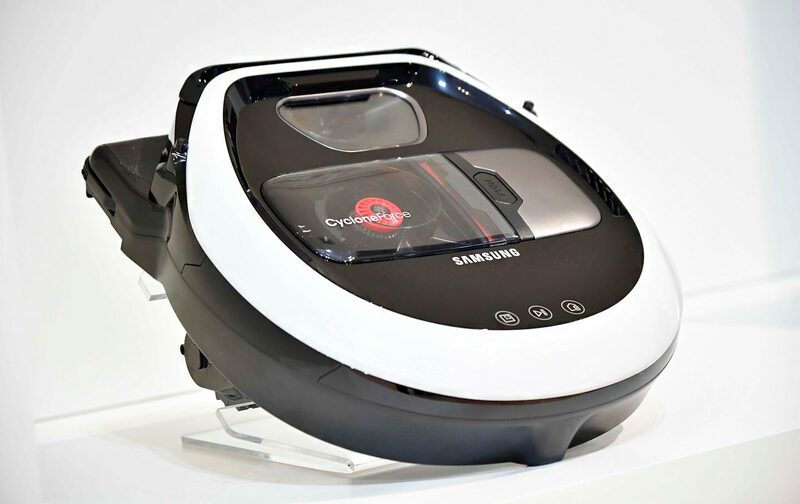 Samsung showcases its new Home Appliance Products at the Gwangju Design Biennale, one of the leading international exhibitions of contemporary art. 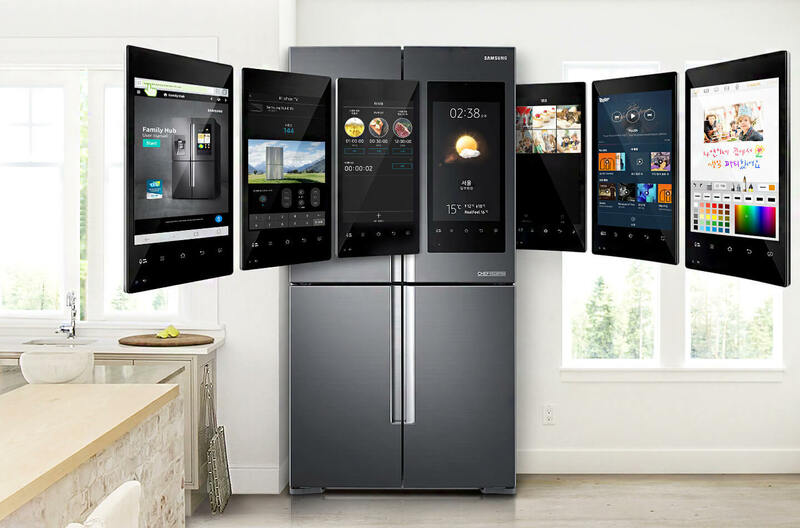 The IoT products include a smart refrigerator, washing machines, air conditioners and robot vacuums. Samsung will also integrate the Alexa voice assistant into its Smart Home Appliance Products. In the IoT (Internet of Things) era, what will the ‘smart home’ look like? Till October 23 Samsung Electronics will be showcasing its vision for the smart home at the Gwangju Design Biennale, where this year exhibitors from over 30 countries are participating. 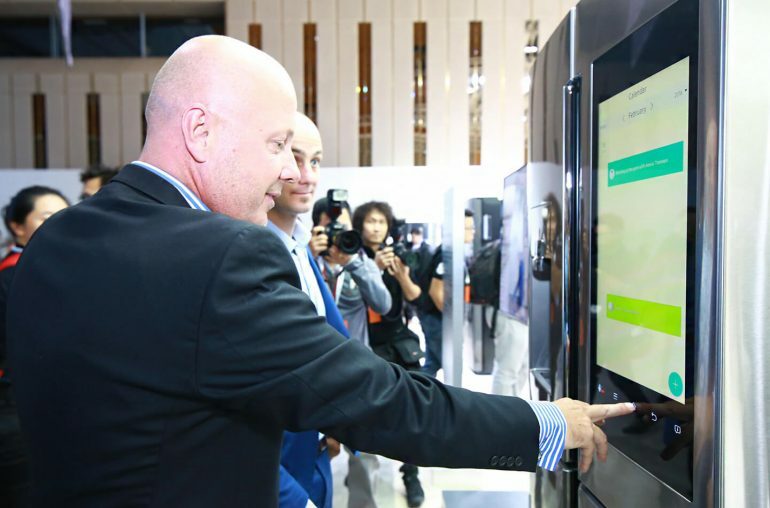 Samsung’s exhibit at the event will offer visitors the exciting chance to experience the future smart home, where home appliances are all connected through the latest advancements in IoT, as well as showcase the Samsung Family Hub refrigerator, and Samsung Connect application, which are at the heart of Samsung’s smart home vision. Just imagine the scene. You are busy in the kitchen when you say, “Bixby, run cleaning mode,” to your Family Hub refrigerator. In an instant, your robot vacuum cleaner, turns on and begins to clean the floor. 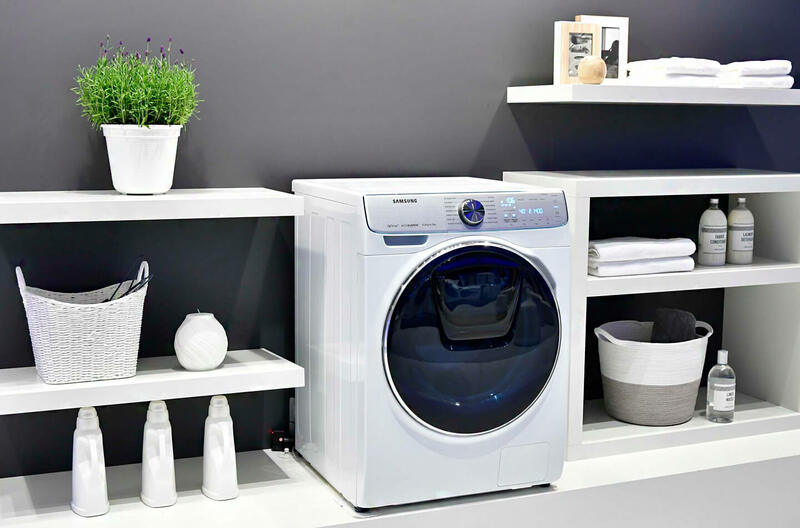 Samsung Family Hub also plays your favorite tune, you glance over to check on the status of your laundry in your FlexWash laundry machine, which sits in another part of the house, via Family Hub’s display panel. A refrigerator is a home appliance that runs 24/7, all year round, for families to use anytime they want. This is the main reason why Samsung has positioned Family Hub at the core of its smart home vision. Samsung Family Hub refrigerator features a beautiful, large 21.5-inch screen, as well as utilizes the latest in voice recognition technology. Samsung, leveraging its leadership in IoT to build an ecosystem for contents and services beyond just products, provides users with vast content and services options. Families can manage food items, find recipes, shop for groceries, as well as enjoy various entertainment options. These intelligent options are only available on Family Hub, with Samsung continuing to grow Family Hub’s partner ecosystem by collaborating with companies across North America, Europe, and Asia Pacific. 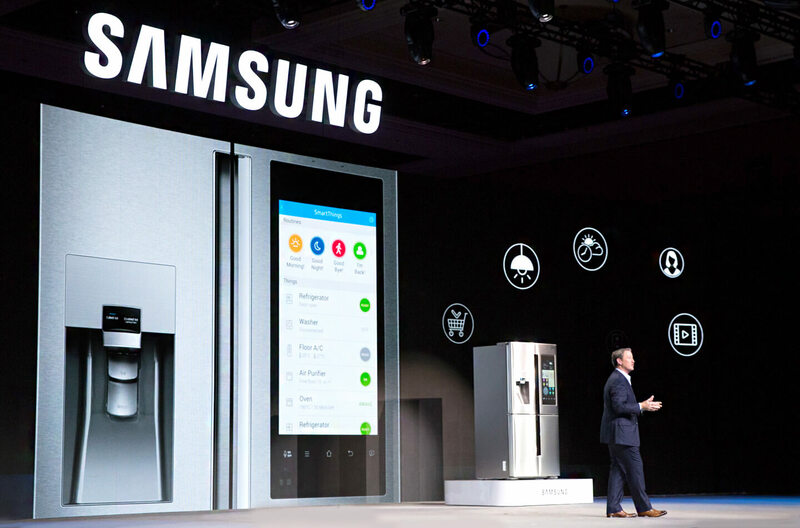 Samsung Connect service for the smart home appliances was first demonstrated at IFA 2017, as an integrated application system that controls different home appliances, and based on the cloud, is compatible with any device or operating system. In the Samsung Smart Home with the Samsung Connect app, users can control as well as check on the status of nearly every device or appliance in their home. Voice support will also soon be integrated into the Connect app. The sensor on your Wind-Free air conditioner at home, which is linked to the Samsung Connect App, measures the temperature of your home, and your mobile device communicates the reading to you by voice. Along these lines, Samsung has also been focusing on expanding its open ecosystem by closely interacting with other manufacturers. As a diamond member of the Open Connectivity Foundation (OCF), the company is actively pursuing the standardization of the smart home and IoT platform. Samsung is also working with various third parties to integrate voice support, for example, with Amazon to integrate the Alexa voice assistant into its refrigerators, washing machines, air conditioners and robot vacuums, and also with Google Home for integration into its robotic vacuums. Samsung plans to focus on expanding services through collaboration with various smart home companies, and increase the range of devices compatible with SmartThings, building a comprehensive IoT ecosystem that ultimately connects everything. Sounds very futuristic, right? Samsung Smart Home is already becoming the reality thanks to the endless efforts of Samsung to integrate a smart system and IoT functionality to connect across home appliances. It may not be very long before we all are living in smart homes ourselves.